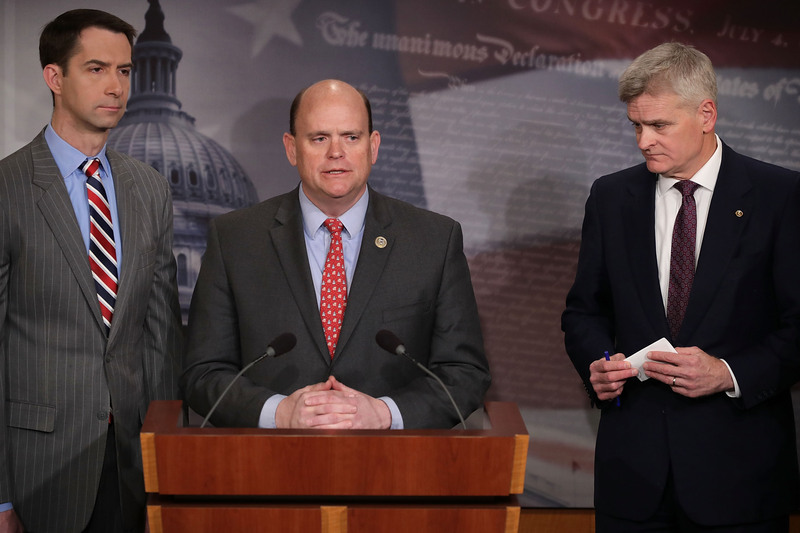 President Donald Trump announced his endorsement of Republican Rep. Tom Reed for New York’s 23rd Congressional District via Twitter Monday morning. Reed has been in the House of Representatives since 2010 and will face off against Democratic challenger Tracy Mitrano in November. Rasmussen rates the race as strongly Republican. Reed is the Republican chair of the House Problem Solvers Caucus, founded in 2017. The group offered some health care proposals in 2017 and counts Democratic Arizona Rep. Kyrsten Sinema, Democratic Arizona Rep. Tom O’Halleran and New Jersey Republican Rep. Leonard Lance as members. Reed threw his support behind Trump early in the 2016 presidential election and was complimented by Trump on Twitter earlier in October. Reed had discussed the United States-Mexico-Canada Agreement on Fox Business on Oct. 1. Reed’s challenger Mitrano is a lawyer and specializes in cybersecurity. She has attacked him as one of the “Washington insiders” beholden to special interest donors. Reed has been on the House Ways and Means Committee since 2011. Reed’s campaign manager did not immediately respond to The Daily Caller News Foundation’s request for comment.